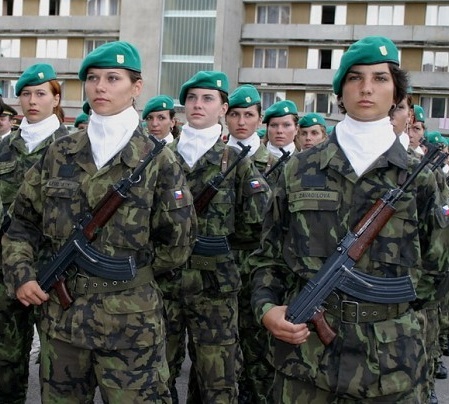 Female soldiers are a whopping 11% of the Czech Republic’s military personnel. Czech women are allowed to specialize in any field or area they wish, however, most of them go for non-combat roles that include administration or law. In short, many opt for desk jobs. Women actually have a history of being involved in the French military since the 1800s, but never served in combat roles. Their importance expanded in 1914, when they were recruited as medical personnel. French women were finally able to enlist in the armed forces in 1939, and eventually gained equal status with their male counterparts in 1972. Women have played an integral part in the history of the military in Turkey. The world’s very first female combat pilot was actually from Turkey. Today, women do serve as officers in the Turkish Armed Forces, which says a lot about its society, despite what most may think of it. Ukraine’s military has a really high percentage of female personnel- around 13%. However, only 2% of these Ukrainian women are ranked high. While women of the Ukraine could volunteer to serve in the military, they cannot be drafted or forced to enlist. Pakistan is the only Islamic nation to have women in high ranking positions. Pakistan’s armed forces has allowed women to enlist since the country’s establishment in 1947. Currently, some 4,000 women are serving in the Pakistani Armed Forces. They just can’t serve in combat units. Women can serve in the Greek army, but they cannot be conscripted. Women were first allowed to enter after WWII, serving in nursing positions. As a result, Greek women began to join the Hellenic Armed Forces. But in 1979, female NCO’s joined the Greek army. The Serbian armed forces have traditionally been exclusive in only including men in their army. Some exceptions for women included non-combat role, nothing dangerous. Such positions include nursing and administration. Some of these women even hid their gender in the Balkans Wars and WWI. 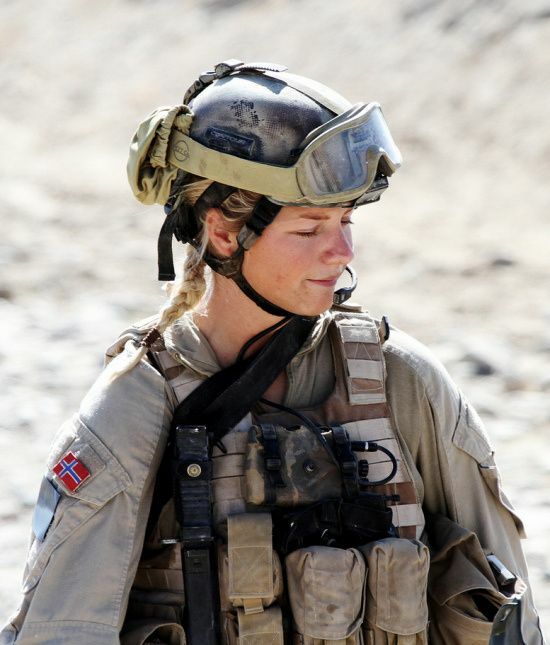 Norwegian women have been able to enlist in the military since 1938, and currently make up roughly 7% of the nation’s army. Both men and women were enlisted during WWII in all positions. In 1985, new legislation came about in the form of equal opportunities. Russian women’s first involvement in the Russian and Soviet military took place during WWI when their forces resulted in the creation of the Women’s Death Battalion. This was an all-women’s unit, and its number dropped from 2,000 females to just 250 in a mere three months. Women’s involvement within the Australian military goes back to around 1899. It was during this period that they got involved through the Army Nursing Service. Today, it is believed that 75% of military roles are available to women, which is still more than a lot of countries’ militaries allow. Israel is one of the few nations that drafts both men and women to its Israel Defense Forces. This of course leads to many incredibly beautiful women serving the country of Israel. However the conscription of women is only 2 years in comparison to the 3 years served by men. While Israeli women held non-combat positions during the war of independence in 1948, certain positions have since opened to women. Some of these do involve combat such as Artillery and Search and Rescue. The United States of America has a history of women who passed themselves off as men in order to fight for their country. Thankfully those days are long gone and they can show off their feminine qualities once again. While their roles during WWI and WWII were limited largely to nursing duties, the 1970s saw this change as the military’s various academies became coeducational. More than 40,000 women served in almost every role available. 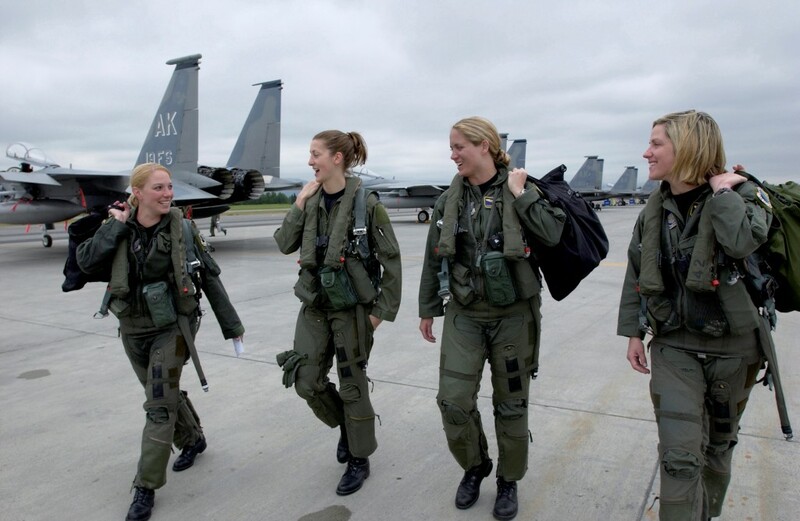 Women make up approximately 15% of the U.S military. Canadian women served overseas in both WWI and WWII, however not in direct combat. Duties included transporting heavy equipment, clerical work and rigging parachutes. It was in 1965 that up to 1,500 Canadian women were allowed to serve in all areas of its armed forces. In 1982 new laws allowed women to perform combat related roles, which made Canada one of the more progressive countries in this area. Women of the United Kingdom first military experience with the Royal Navy, all the way back in 1696. But it was only from 1902 that that they had active roles inside of the British Army. These roles were mainly non-combat; however, they did become able to serve as pilots in the Royal Air Force in 1989. In the Gulf War in 1991, UK women were initially deployed as part of combat operations. The women of Poland have been fighting for their country since the Napoleonic Wars in the early 19th century. During the Nazi occupation of Poland, thousands of Polish women came together as the Home Army, to represent an aspect of the resistance movement. Today, all Polish women who have degrees in nursing or veterinary-related degrees, are forced to register for compulsory service. It wasn’t until 1924 that Swedish women were actually permitted to register for the army. Since 1989, there have been absolutely no restrictions on women entering the military in terms of training or rank, as gender equality is something that is valued and prominent in Scandinavia. Swedish women can serve in their army in any role they’d like. 29 facts about Tom Selleck and Magnum P.I.